Compatible: Smartphones, Tablets & USB Devices. The xt is the little brother of the big notstrØm . 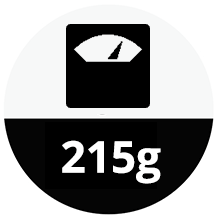 It is powerful, robust, vibration-proof, water- and dustproof (IP67) and weighs with 215g only about as much as 2 bars of chocolate. 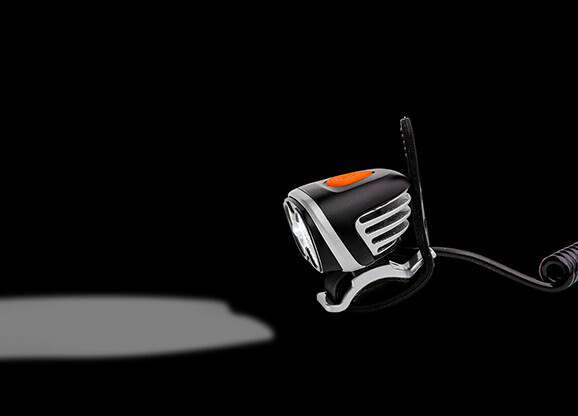 With these outstanding features, the xt is the ideal mobile energy source for use on construction sites, camping and outdoor sports such as mountain biking, fishing, canoeing, trekking, skiing or sailing. Why a notstrØm xt ? Hardly any power bank is designed for outdoor use. 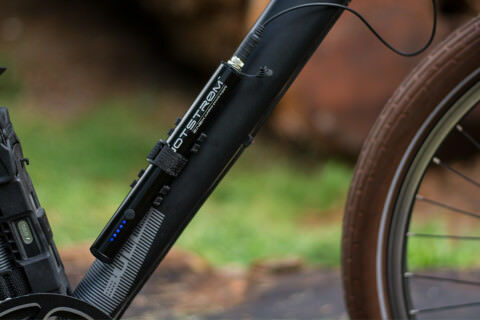 If it gets wet, dusty or dirty, ordinary mobile chargers can no longer be used. If fine particles of dust, pollen or moisture penetrate into the interior of a power bank, this is literally poison for the built-in electronics. Contacts can corrode and, in the worst case, could lead to a short circuit or power bank fire. 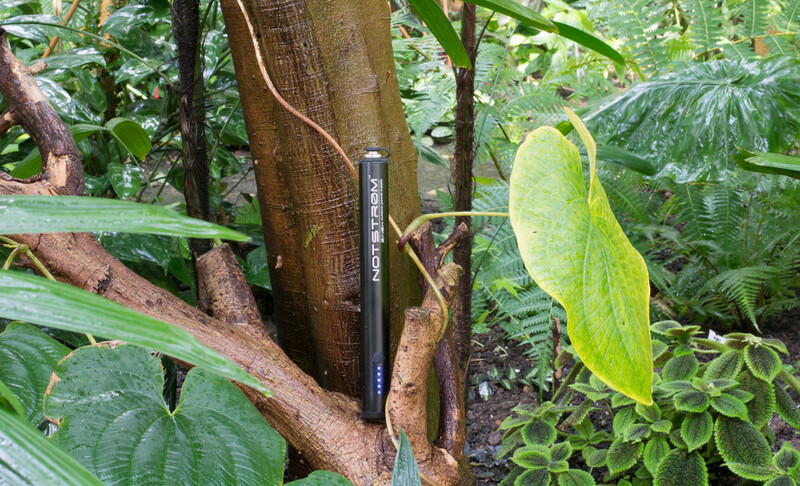 Even so-called outdoor power banks are only partially usable, because they are only waterproof and dustproof, as long as their ports are sealed with a rubber cover. What do you do when it rains and your smartphone needs power? How do you ensure the power of your gadgets in areas with very high humidity or heavy dust? The notstrØm xt goes the decisive step further here. It is 100% waterproof and dustproof even if a charger is connected. This is possible because the notstrØm xt has no ordinary USB ports, but instead is equipped with an IP68 Hi-End connector. 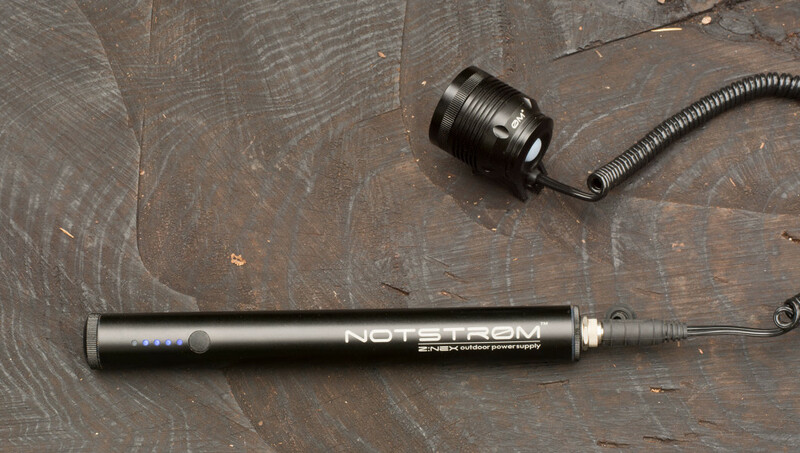 The notstrØm xt has been specially optimized for the toughest conditions off the beaten track. Its 100% weatherproof design makes it an indispensable accessory for riders looking for a challenge when biking. However, perfect protection does not mean compromise in design. On the contrary! 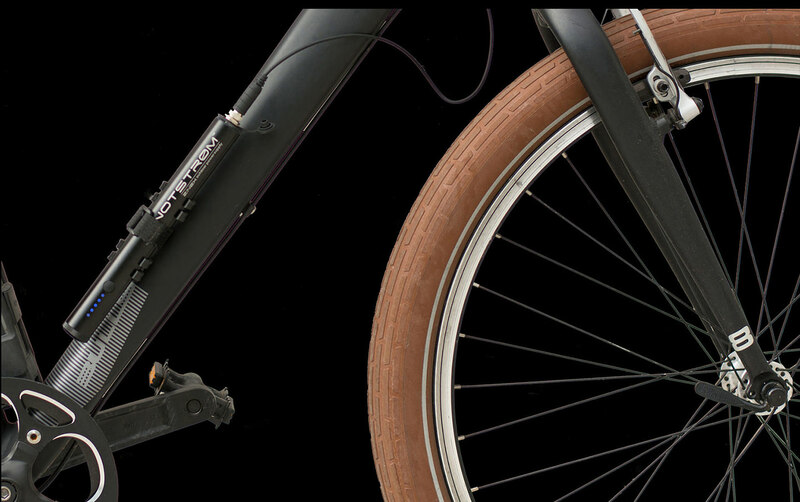 The slim, hard-anodized aluminium cylinder is extremely robust and can be attached quickly and space-saving to the bicycle frame. 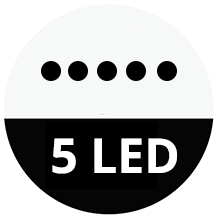 Five blue LEDs give you information about the remaining capacity at any time. 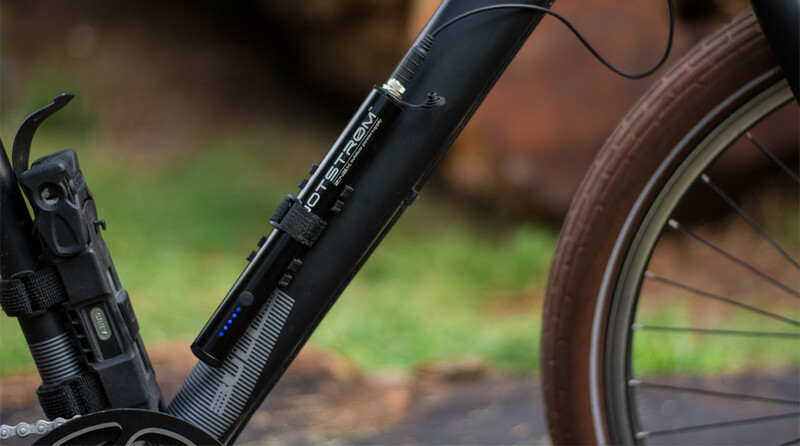 Included in delivery is a super-lightweight reinforced fiberglass holder for the battery that you can mount permanently to your bike’s frame with just two screws. Then, all you have to do is click notstrØm xt into place, just like you do with your tire pump, and secure it with the strap. By the way: if you have already mounted a bottle holder, you can leave it there and you do not have to remove it. 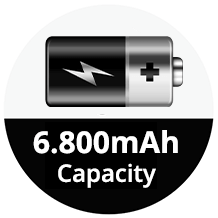 The 6.800mAh notstrØm xt features a strong 2.4A output that enables you to rapidly charge up to two devices with the same charging speed as an outlet. This means quick charges on the go for all your USB-enabled devices, from the smallest GPS device to the largest smartphone. Compatible with smartphones, tablets, eReaders, music players, gaming devices, digital cameras, GPS handhelds, rechargeable lights and more. 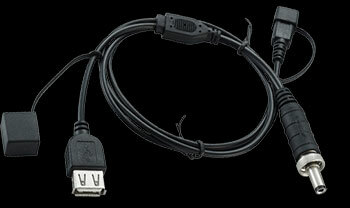 You’ll find a Y-cable included in the scope of delivery with which you can charge two devices at the same time. Much more comfortable is a direct cable with waterproof plug. Up to 95cm length you can order any length you want and thus perfectly adapt to your needs. While most of us love the sun, sand, and surf — electronic devices definitely do not. Sand and water can cause severe damage, leading to shut-down, malfunctions or component damage. 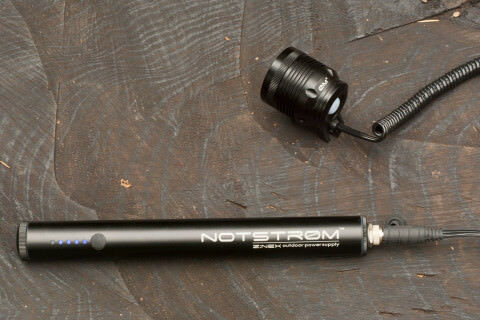 With notstrØm xt you’ll no longer have to worry about sand or water. 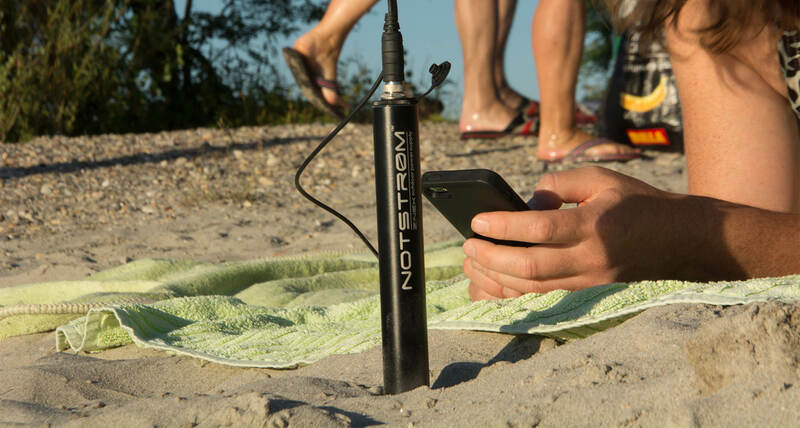 Even when charging another device, sand and water cannot penetrate notstrØm xt and damage its electronics. 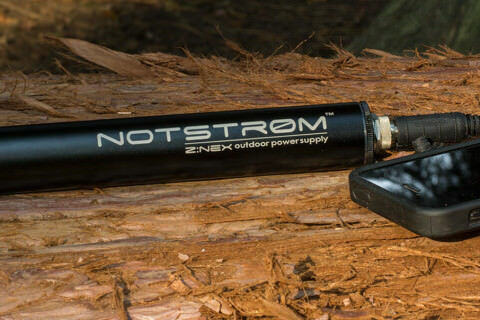 The notstrØm xt is the ideal charger to provide reliable power to smartphones, GPS devices and wearables on the water, in the mountains, on the beach or on construction sites. Wherever you are exposed to the elements and you want to be sure that the power supply of your mobile devices is guaranteed. Øm3 and Øm2 , which are available as accessories. notstrØm xt, Y-cable, USB-C charging cable, mounting bracket, 2 Velcro and manual. Can the NS charge my Laptop or Netbook? Sorry. The NS outputs 5V and is only compatible with 5V USB devices. 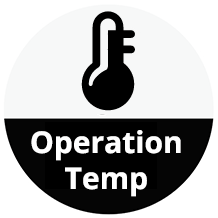 As Laptops and Netbooks need much higher voltage, you cannot use the NS to recharge. Can the NS be used overseas in 220-240V countries like Laos, India, Africa, Europe, etc…? Yes the NS can be used overseas with no issue. You can charge the NS from any USB port (PC, Laptop) or from any power outlet, provided the correct wall charger is used. Can I charge the NS from a computer’s USB port? Yes, the NS will charge from any high-current USB port – which are available on most computers. Lower current available ports on some computers, as well as USB ports on keyboards and hubs, may not effectively charge the NS. When does the NS begin to lose capacity? The NS contains outstanding Li-Ion-cells, considered the best one of the world. Nevertheless – after 500 Full cycles, (not just 500 charges to another device) the NS will loose its full power. Does the NS support the latest Apple devices? Yes, the NS is actually compatible with the latest Apple devices like iPhone 6, 6 Plus, iPad Air 2, as well as the prior iterations and iPod Touch devices, excludes certain classic models. white Apple cable that came with the Apple devices. Yes you can – but we do not recommend it because the battery will drain very quickly. Can I charge two iPhones/smartphones at the same time? Yes , this works perfectly. Will the NS charge my mobile device? 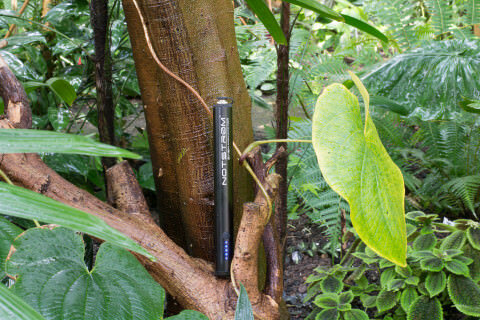 The NS is compatible with most 5V or USB chargeable smart phones, tablets and portable devices (GPS, portable cameras, etc). You can double confirm your device compatibility by having a look at the AC wall charger for your phone or tablet. 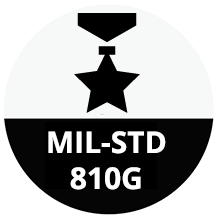 On it there should be a sticker with an output rating. If it has a 5V Output then your device is compatible with the NS. Do I need to press any button to start charging my phone? Yes, you have to press the button continuously for about 3 seconds to start charging your mobile device. Do I need to press the On/Off button to stop charging my iPhone? Yes. The NS has a special function called “small stand-by current”. Unless you do not turn off the NS by pushing the On/Off button for 3 seconds, it continues to provide energy on a very small level. How do I turn off the NS? 2. Unplug the Y-cable from the output jack. After that, the NS automatically turns off after 10 seconds. Can I check how much charge is left without turning the NS on? Yes. Just push the On/Off button once. The LEDs will turn on and indicate the level of charge left. To turn off LEDs, simply push the On/Off button again. Can I charge my device while charging the NS? Sorry. The NS does not support daisy-chain or pass-through charging. 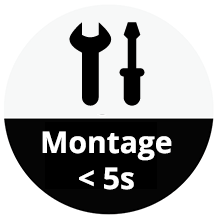 We have deactivated this function to protect the NS from being damaged. Please charge the NS separately from other devices. Please always charge the NS first, and then start charging your device. Can I use my device while it is charged through the NS? Yes, you can. But we advise you to fully charge your device first before using. Can I store the NS for a long period of time? Yes, you can. But we do not recommend it! Batteries begin fading from the day they are manufactured, no matter if you use them or not. So also storage will cause batteries to age. The NS and any other battery has „to work“ to keep well and fit. The battery cells will deteriorate when not charging and discharging. Therefore, we recommend fully discharging and recharging the NS once a month. This will help to keep the NS healthy. Moreover, the NS must be stored in a charged state, ideally 40 – 50 percent. 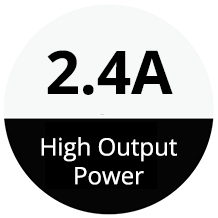 This assures that the battery will not drop below 2.5V per cell with self-discharge. How do I start charging my device once connected? Simply press the On/Off button of NS for about three seconds to begin charging. Why aren’t the LEDs blinking while the NS is charging? After connecting to a power source, the LED status indicator will start blinking to indicate charging. The lights can be manually turned off through a short press on the On/Off button allowing for a good night’s rest. Please check the charge status before you disconnect to make sure the NS fully charged. Can I use my smartphone charger to charge my NS? Yes! The NS has a micro USB input port for this very reason. As more and more devices switch to this connector it seemed obvious to use this for the NS. Additionally, the NS comes with a USB cable with an USB-socket. This means you can plug it into any USB mains plug you may have. Some lights are blinking and other solid, is my NS fully charged? When the LED lights are blinking the battery is still charging, when all 5 lights are solid the NS is fully charged. For example: if three LEDs are solid and two blinking, the NS is about 60% charged. 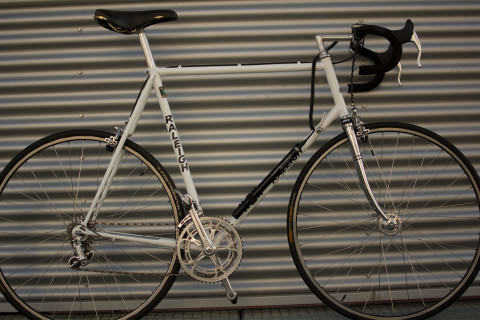 Is it possible to buy a separate bracket for a second bike? The NS bracket can be easily removed from one bike to another and a replacement mount bracket can be bought in our shop. How long does it take to recharge the power pack through USB or Wall charger? The time of recharge depends on the output current of the power source. If you use a 5V/2A USB adapter, e.g. from our shop, notstrom is fully charged in 9 hours. Can the NS be charged with a hub dynamo? Yes, but it cannot work with a hub dynamo directly. You have to connect the hub dynamo to a power converter first. It will convert and regulate the power to 5V DC. Please note that we do not recommend to charge notstrom via a hub dynamo. Dust and dirt may enter into the unit and damage the notstrom. Can the NS be charged with a solar panel? If it outputs 5V, the NS can also be charged through a solar panel. Can the Notstrøm XT be taken on an airplane in carry on luggage by FAA standards? Yes, you can fly with this product no problem! It is a 24.5 Watt hour battery and the largest capacity you can fly with is 100 Watt hours. Is it waterproof while charging a GPS or Phone? The Notstrøm XT is waterproof, but cables and phones are typically not unless rated by the company making that product as waterproof. Does the XT have an “always on” feature? By this I mean once a device is plugged in, will it get power constantly until the venture is fully drained, or will the XT shut down if the device does not require power? 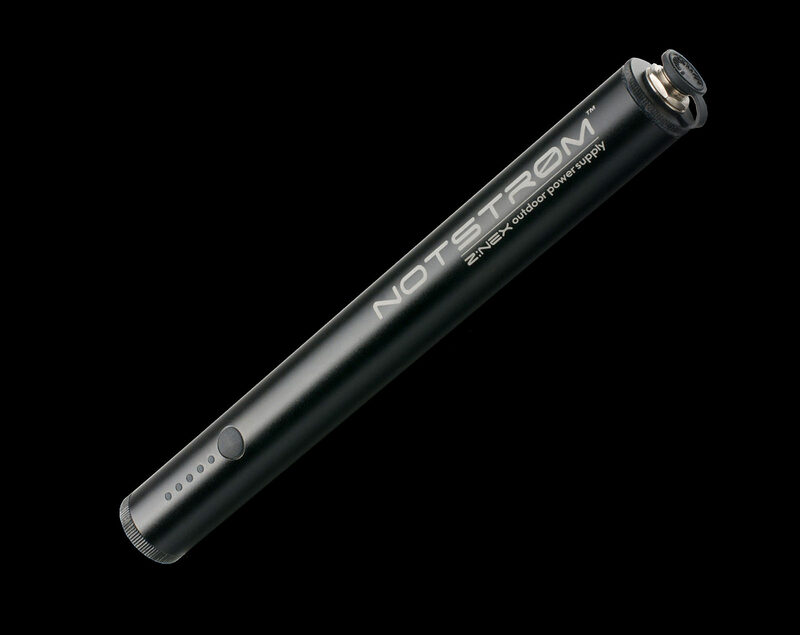 The Notstrøm XT will output power as long as its still being drawn. So if you are running a Light-A-Life Mini, for example, it will stay lit until the XT is drained. Is the NS fully weatherproof? Yes, the NS can be exposed to all weather. But make sure that the input and output ports are closed with their protection caps. Can this device charge and discharge at the same time? Can I charge the Notstrøm XT using 220V? You can if you are using a USB adapter that will regulate it to standard USB outputs (5V, up to 3A, 15W max). Is it ok if I charged my charger overnight? Yes, because it will stop charging once the battery is full. What is to do if it starts raining? The NS must not be protected from rain and stored in dry place. The NS is designed to remain attached to the bike even in rain. You are free to decide if you protect the output port with the attached IP rated silicone cap or leave the cable connected to the NS. If you do not want to remove the cable, that‘ s ok. The connectors provide the most reliable sealed connection. Just be sure that the cable plug and jack are properly mated. 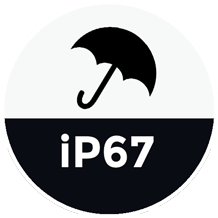 Molded of high-quality 6061-T6 aircraft aluminum, the housing is scratch- and impact-resistant and offers IP67 class protection against water and dirt. notstrØm xt is equipped with a fast 2A USB-C port and can be plugged into any USB port worldwide. A screw-cap keeps the USB-C port safe from dirt, water and dust. To protect notstrØm xt against being penetrated with water and dust, we have made it of top-quality industrial components. 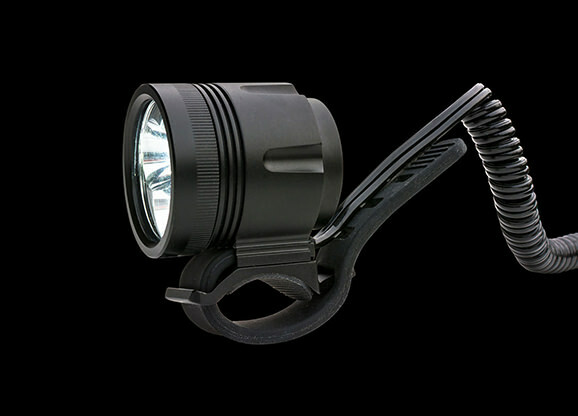 The connector has a IP68/NEMA 250 (6P) protection and was developed specifically for extreme environmental conditions. When designing notstrØm xt, it was important to us to find a form that can be attached to the bike quickly and simply that won’t disrupt the cycling experience. 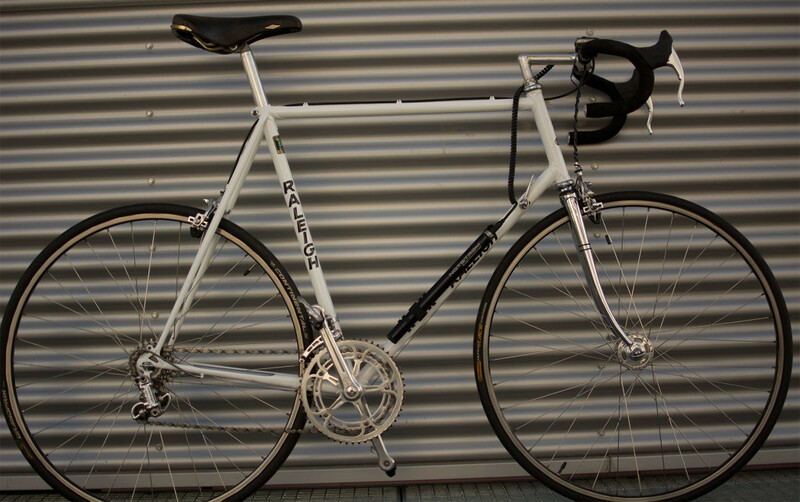 The aerodynamic design meant that we could only offer a 2.4A water- and dirt-proof connection. To allow simultaneous charging of two USB devices, we have decided to use a double-headed cable that branches into a micro-USB jack on one end and into a USB coupling on the other. Both connectors are equipped with protective caps to protect against penetration from rain, dust, snow or moisture. The micro USB jack is perfect for charging all popular smartphones or any other device that has a micro USB port. The USB coupling lets you charge all USB devices that have their own charging cable like Apple mobile devices or devices with mini USB port.